PALOSANTO SOLUTIONS stands over international and local providers of software, in many aspects. Our solid knowledge, the experience gained over the years and the responsibility for the work developed to our clients, are our best letter of presentation. We specialize in web based centralized solutions with a high level of complexity in database management. The quality of our software solutions is the reflection of our satisfied clients; resource saving and increase of the productivity of our clients ascend to millions of dollars. This is the result of our client oriented policy, ratified by the confidence received from several companies around the world. Our company counts with expert engineers, in programming and other areas such as telephony, industrial control, telecommunications, productivity, education and others. This diversity of knowledge allows us to analyze the business with our client through different perspectives, before the writing of any code. This let us offer efficiency and effectiveness in our solutions. 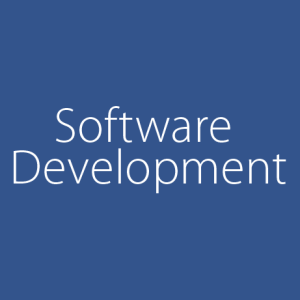 The process of software designing is not limited to the development of the ideal tool for your company. This labor is summarized in a meticulous work process, starting with a complete survey of information and requirements from the client to develop detailed specifications and project schedule; continuing with codification, quality tests, documentation and delivery of the final product. This complete work process assures quality of service, demonstrated by the most important indicator: our client satisfaction. and ask for advice on how to begin a development for your company.